Topgolf is a global sports entertainment community creating the best times of your life. With golf balls that score themselves and exciting games for all ages and skill levels, Topgolf is the ultimate venue for fun. 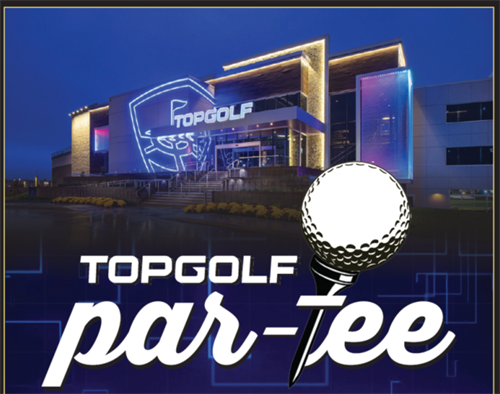 Easterseals Michigan is excited to introduce our Topgolf Par-Tee, a fundraising event at the new Topgolf premier entertainment venue in Auburn Hills. The event will group together teams of six people, from novices to pro-golfers alike, into a driving range bay. Guests will drive their microchipped ball toward a target on the field. The more accurate your shot and the farther your ball goes, the more points you score. This is not a golf outing, it is a golf adventure! The event will feature teams golfing out of 16 bays, food and drinks, auction prizes and raffles, and great networking. Our purpose is to spread help, hope and answers. Easterseals Michigan works to change the way the world defines and views disabilities by making profound, positive differences in people’s lives every day. Offering an extensive array of services for all ages, Easterseals provides essential care for individuals struggling with mental illnesses, substance use disorders, autism spectrum disorders and emotional trauma. We take pride in helping people with diverse abilities live, learn, work and play in their communities. All individual tickets and team packages include food, drinks and signature Topgolf game time.